Fat Quarter Shop's Jolly Jabber: Terrific New Must-Have Tins from Fat Quarter Shop! Terrific New Must-Have Tins from Fat Quarter Shop! 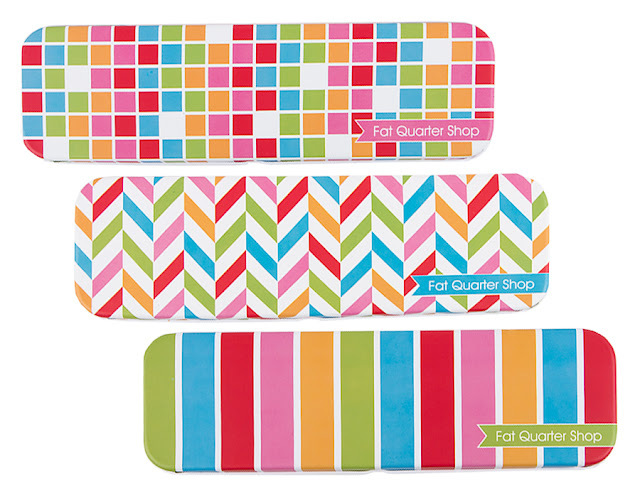 Sewing supply storage just got WAY more fun: introducing our new Fat Quarter Shop Tins! 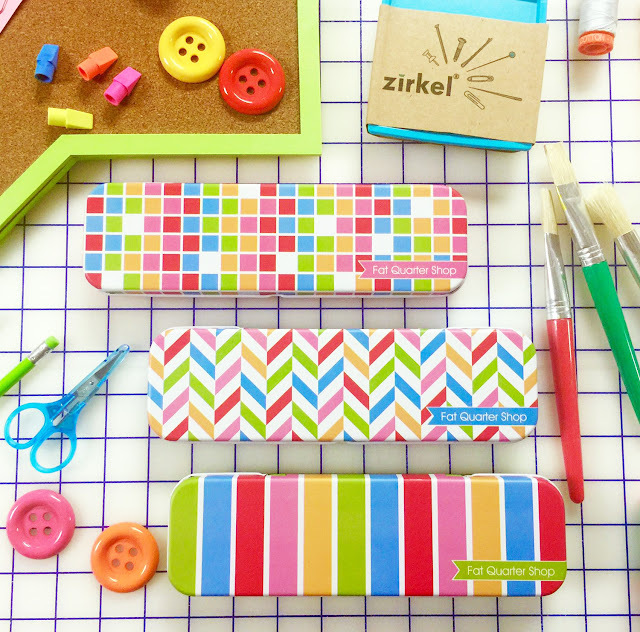 These handy tins are 8.5" x 2.5" x 1" and can hold all sorts of goodies! From thread and binding clips to pencils and pens, these tins are the perfect way to store your must-haves close at hand. 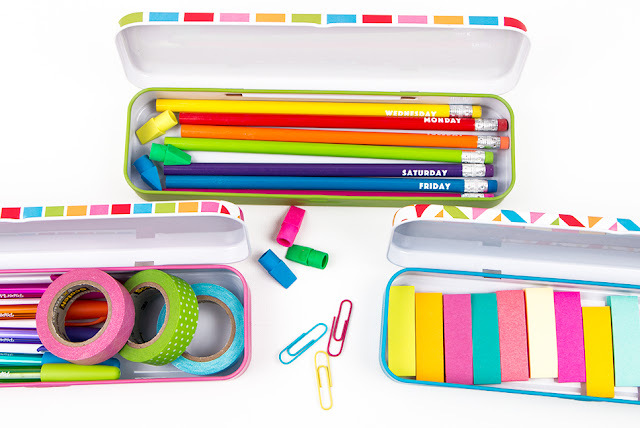 They're bright, cheerful, and are a sturdy way to store the supplies you reach for again and again. They can even hold everyday items like mini first aid kits, crayons for the kids, or your secret candy supply! These tins are available as a set of 3 and individually, so stock up now. Oh, and don't forget - these tins make adorable gifts! Simply load them up with some goodies, add a bow and a gift tag, and you're good to go! 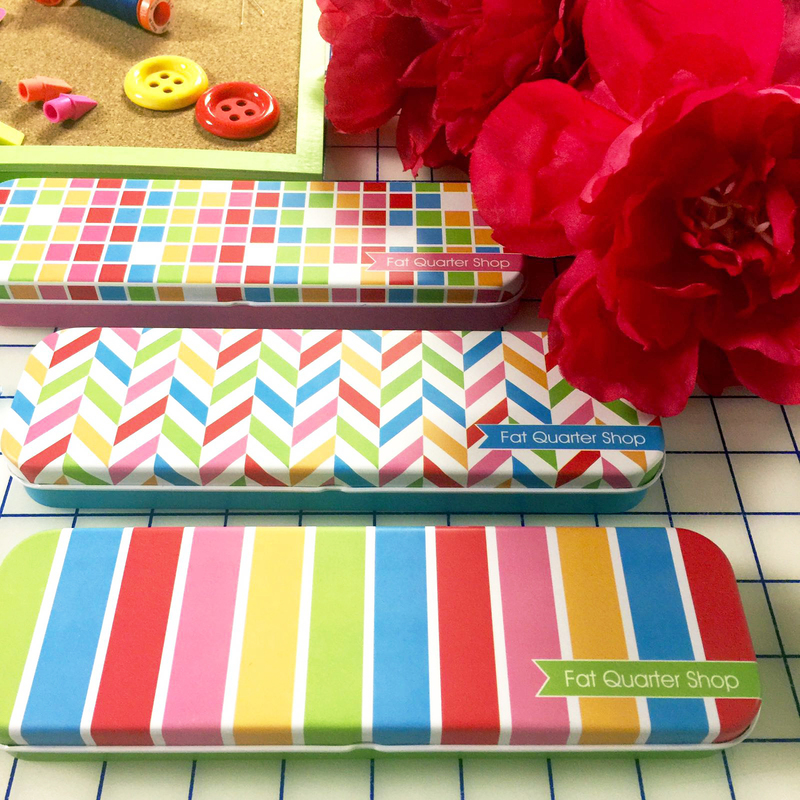 What will you put in YOUR Fat Quarter Shop Tins? We'd love to know, so please leave a comment and share! Oh, and please share any pictures you take with your new FQS tins on social media using #fqstins. Happy Quilting!